But the “big picture” of the extensive contamination done by Rocketdyne at the former Santa Susana Field Laboratory near Simi Valley doesn’t seem to bother Hertzberg . Hertzberg has been strangely quiet when experts talk about the devastating impacts of Rocketdyne’s toxic chemicals, like TCE and perchlorate, migrating off-site. Massive amounts of chemicals were burned, dumped into unlined pits, dumped in ravines, and trucked away and dumped in the ocean. These chemicals are spreading and contaminating drinking water wells across the valley and run-off into both Ventura and Los Angeles Counties. Then there is the massive radioactive contamination from Rocketdyne. In 1959 a serious nuclear accident at SSFL resulted in high levels of radioactivity being vented for weeks, particularly affecting San Fernando Valley residents as well as those of Simi Valley, but without any public notice or evacuations. This was the first of several nuclear accidents there which were kept secret. Radioactive waste was also continually burned and dumped, including plutonium. High levels of radioactive contamination remain on and in the soil. Where is Hertzberg? He isn’t hugging the people of Simi Valley and neighboring communities who are dealing with this issue. In 2013, a report was published that SSFL clean-up officials were sending highly radioactive waste from the Rocketdyne site to ordinary recycling facilities or dumping it with the knowledge and cooperation of the California Department of Toxic Substances Control (DTSC) and the California Department of Public Health. 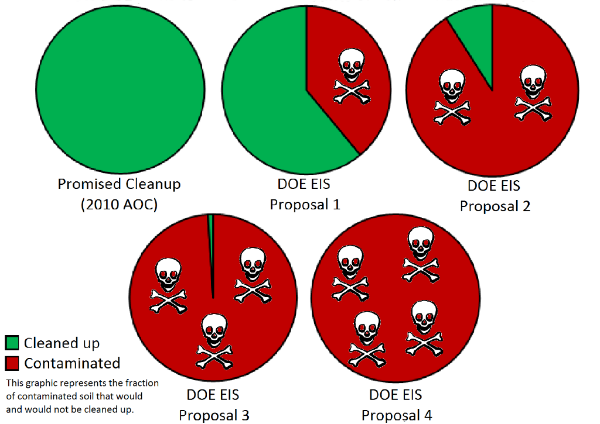 In 2014, DOE finally agreed to clean up the contamination, and DTSC promised to enforce that. However, now DOE wants to leave 39-99% of the contamination in place, and it is unclear if DTSC will stand by its promise and compel a complete cleanup. If the contamination is not cleaned up, it will cause growing, generational impacts to people and wildlife – a very, very big picture. “Get it done”? Get what done? Not the Santa Susana Field Laboratory cleanup. Not accountability. Not recompense for damaged lives. Not standing up for the rights of the public to safety in their homes and in their communities. Not creating new rules for how multinational corporations and public agencies operate in California. We the public are sick and tired of empty promises, Sen. Hertzberg. Protect the public, and their health and safety. Or get the heck out of the way. Tonight, KNBC Channel 4 will air the first segment of a year long investigation into the Santa Susana Field Laboratory during the 11 pm news. A second segment will run Tuesday evening. Click here to view a trailer for the series. The KNBC investigation will be screened at the SSFL Work Group meeting on Thursday, followed by discussion with KNBC investigative reporter Joel Grover. producer Matthew Glasser, and community members and former workers featured in the investigation. Pete Noyes, veteran Los Angeles newsman and producer of the NBC series in 1979 reported by Warren Olney that first disclosed the partial meltdown at SSFL, will speak about his decades of experience covering the story. Remarkable new information about Boeing’s own extraordinarily high cancer risk estimates for SSFL contamination and its plans to not clean up the vast majority of the polluted soil will also be revealed. DON’T MISS THIS IMPORTANT SSFL WORK GROUP MEETING! We hope you will join us for some straight talk about SSFL and what you can do to ensure that it is fully cleaned up. Please visit the SSFL website for reports on past meetings with presentations and videos as well as other useful information about the contamination at the site and status of cleanup. To learn more visit http://www.ssflworkgroup.org or contact us at info@ssflworkgroup.org. 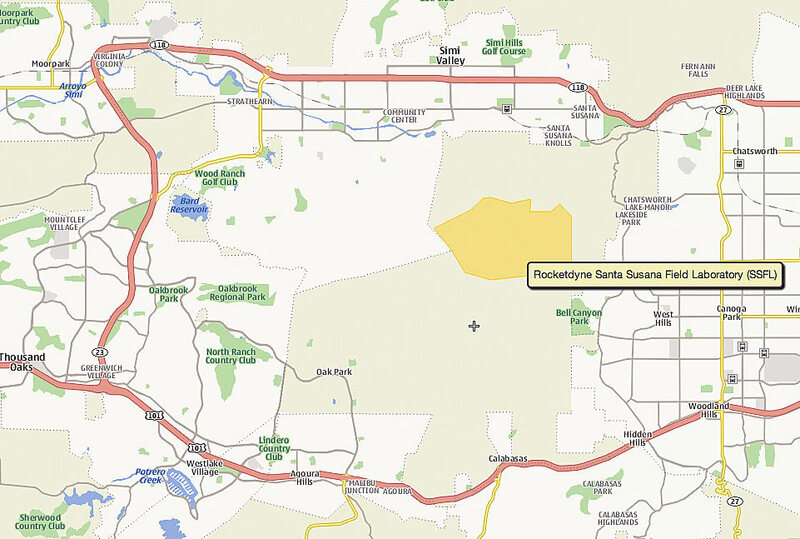 The Santa Susana Field Laboratory (SSFL), also known as Rocketdyne, is a former nuclear and rocket engine testing facility that is contaminated with radiological and chemical pollutants. The 2,850 acre site is near Simi Valley, Chatsworth, Canoga Park, Woodland Hills, West Hills, Westlake Village, Agoura Hills, Oak Park, Calabasas, and Thousand Oaks. For over twenty years, the Santa Susana Field Laboratory Work Group has served to keep the community informed about the contamination at SSFL and assure it is thoroughly cleaned up.